What mountain are you trying to climb today? What hill are are looking at, thinking that there is no way that you can do this? What challenge do you face that is worrying you to death? What are you up against today? What thing do you face, that to you, looks impossible, and leaves you with no hope? What are you to do? How could she have such confidence? How could she have such hope? How could she trust in a situation that seems to hard, to challenging, to much, for someone to handle? This is how. 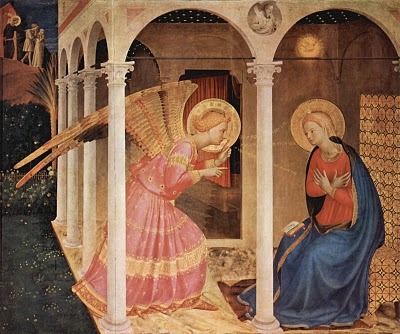 She believed the word that that the angel spoke – Nothing is impossible for with God. Nothing. Nothing. God is bigger than that mountain. That challenge. That fear. That doubt. That hurdle. That, whatever. God is bigger. God is stronger. God is more powerful. With God, nothing is impossible. Believe that, today. Have hope in that today. With God, nothing is impossible. Hold tight to Him. Trust in Him. And He will make a way.